This is the one you've been looking for! 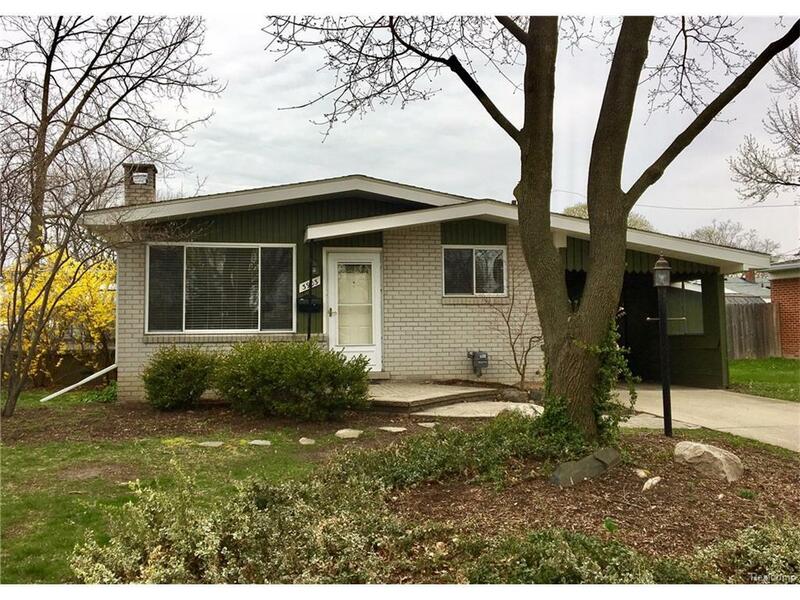 Royal Oak Mid-Century ranch w/ 3 bedrooms, oak hardwood floors, fireplace, dining room, updated kitchen (w/ stainless steel appliances incl. ), wide open basement. Oversized lot w/ terraced brick pavers. Serious gardeners will rejoice at the 16x12 greenhouse (not incl. in sq. ft.) Many major updates & improvements incl. windows, electric, plumbing, etc. This house has a great vibe & is priced for you to Make Home Here.